IX.9.d Pompeii. March 2009. 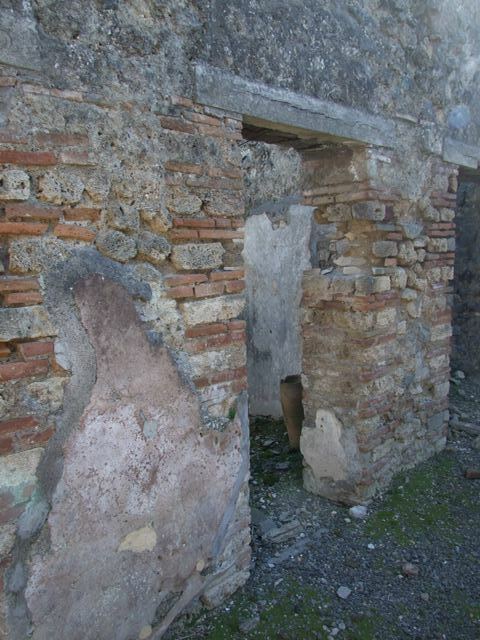 North-east corner of atrium b.
IX.9.d Pompeii. March 2009. Doorway to room f, tablinum, looking towards south-east corner. 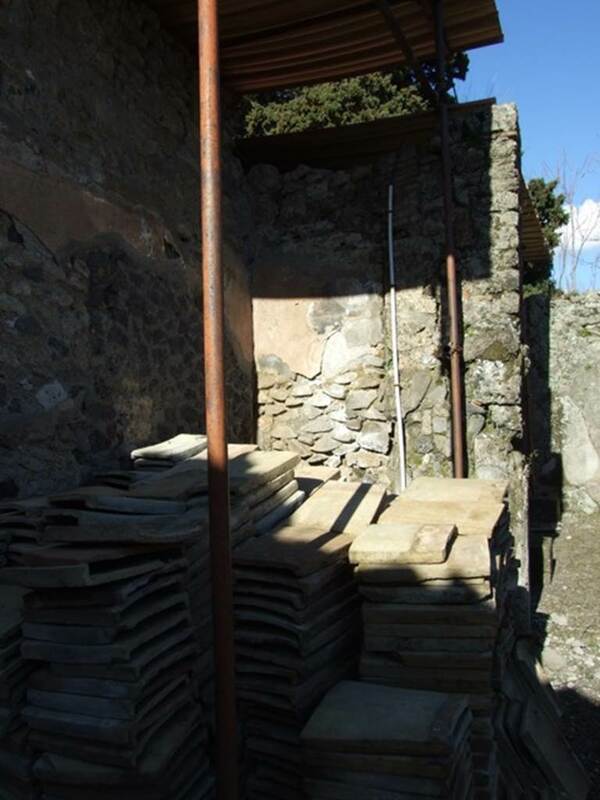 According to NdS, the flooring was of Opus signinum. The walls were decorated with a red background except in the corners where there was a black background. 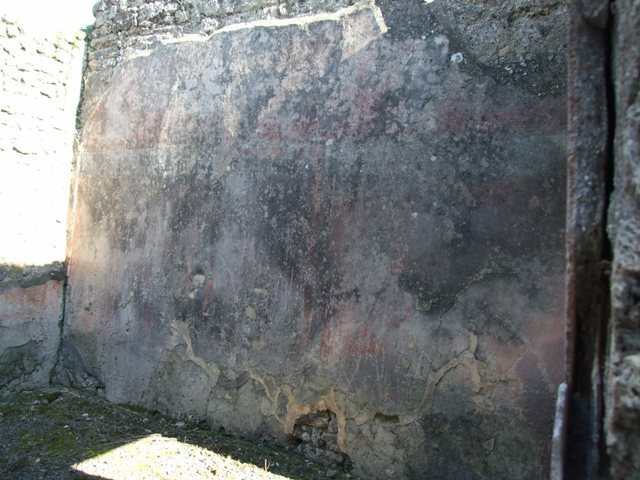 The lower dado (or zoccolo) was also painted black, whilst the frieze was all red. 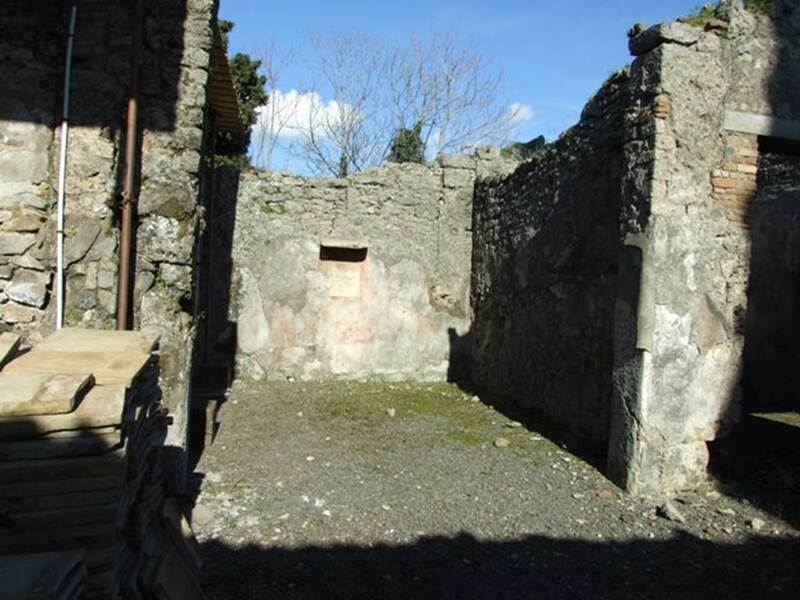 Of the three square paintings that decorated the centre of the walls, only two remained. On the south wall Narcissus was painted. On the east wall Venus Pescatrice was painted. Both paintings were described as mediocre. In the side panels of the walls, flying cupids could have been seen. 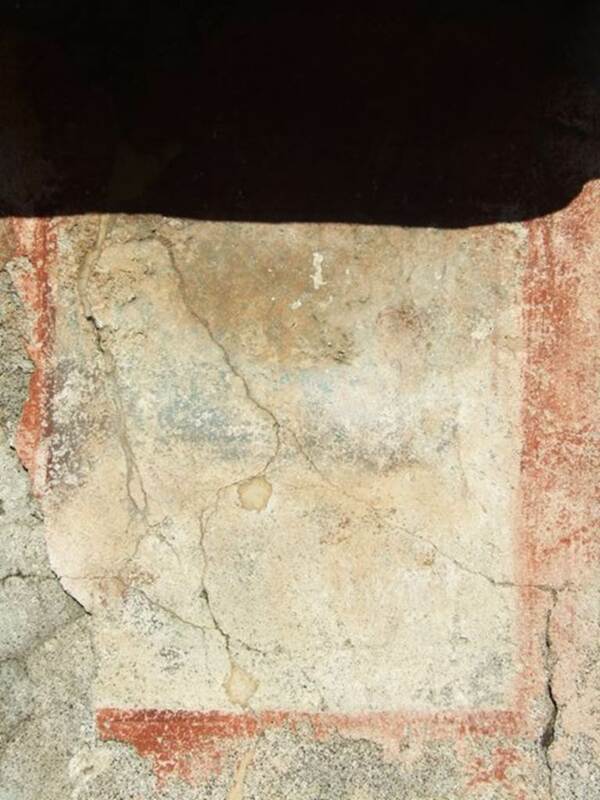 On the south wall was found a central wall painting of Narcissus. IX.9.d Pompeii. March 2009. Room f, east wall of tablinum, with central wall painting. IX.9.d Pompeii. March 2009. Room f, tablinum. 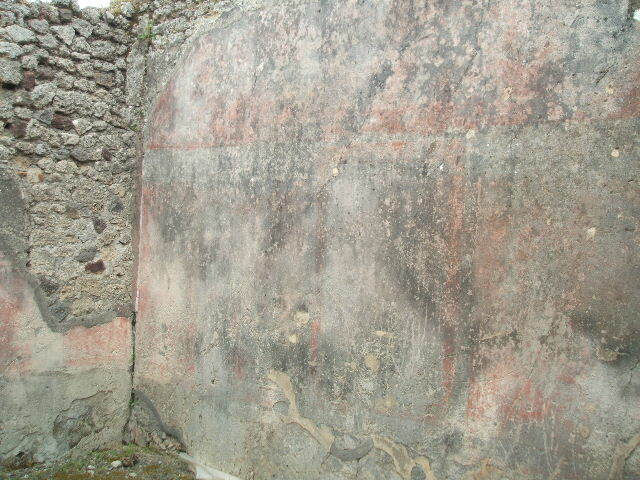 Remains of central wall painting on east wall, of Venus Pescatrice. IX.9.d, Pompeii. May 2005. Room f, tablinum. Remains of painting of Venus Pescatrice. IX.9.d Pompeii. Room f, tablinum. 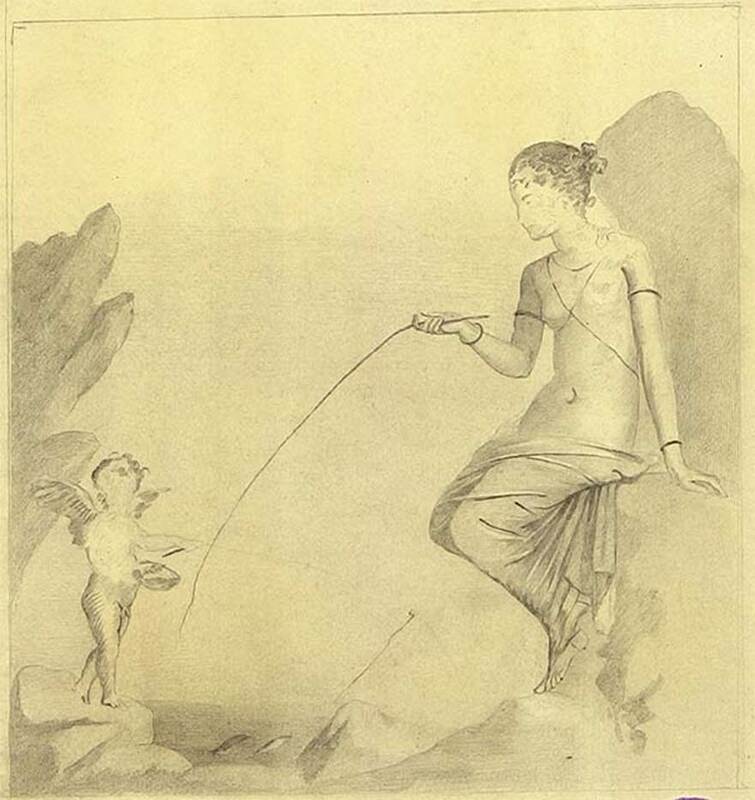 Sketch of painting of Venus Pescatrice. DAIR 83.384 Photo © Deutsches Archäologisches Institut, Abteilung Rom, Arkiv. IX.9.d Pompeii. Room f, tablinum. 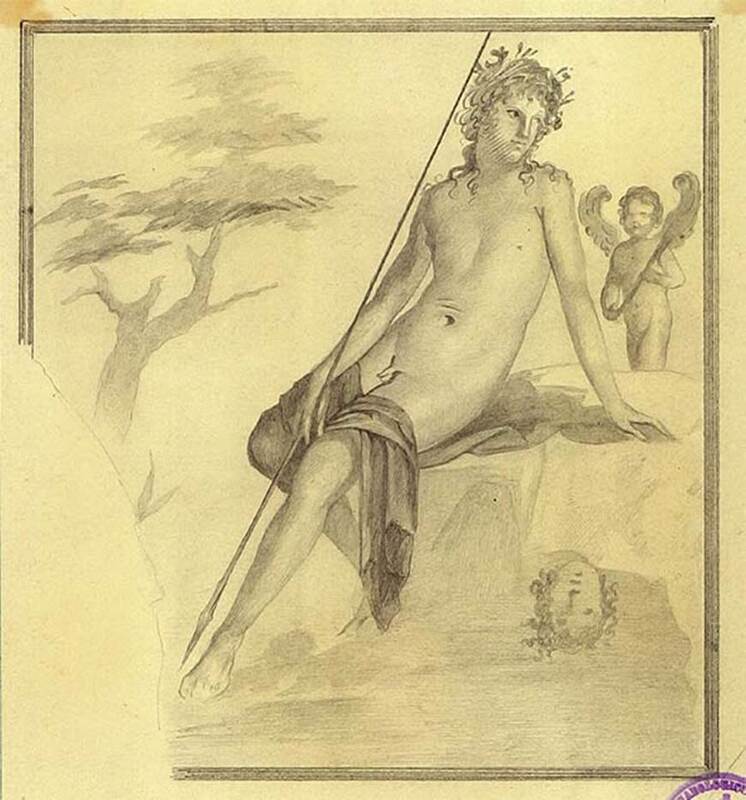 Sketch of painting of Narcissus. DAIR 83.385. Photo © Deutsches Archäologisches Institut, Abteilung Rom, Arkiv. IX.9.d Pompeii. March 2009. Doorway to room l, triclinium or oecus. 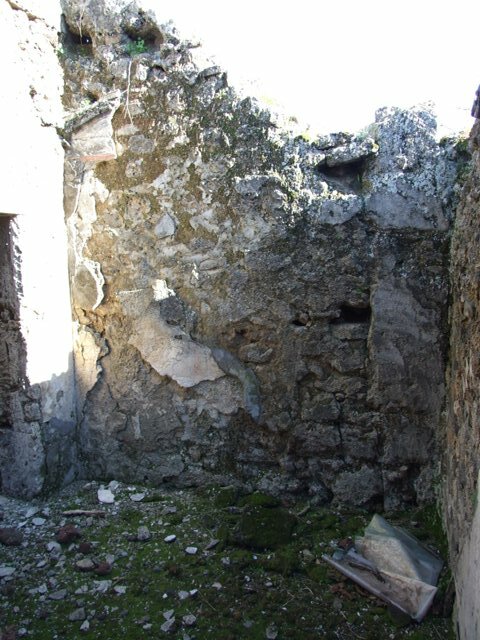 According to NdS, this room was an oecus which had not been entirely excavated (in 1889). The floor was of signinum, and the walls were red. The central panel on each wall was black, and each of these panels contained a painting with a black background. IX.9.d Pompeii. March 2009. Room l, east wall of triclinium/oecus. According to NdS, in the central panel of the east wall was a painting of Andromeda being freed by Perseus. The painting was so badly damaged that only part of Andromeda was visible, and nothing remained of Perseus other than his contour. The whole composition was a copy of others which have been found in a much better state. On the right, it would seem was the wounded monster. Average height of the figures was 0.41m. IX.9.d Pompeii. 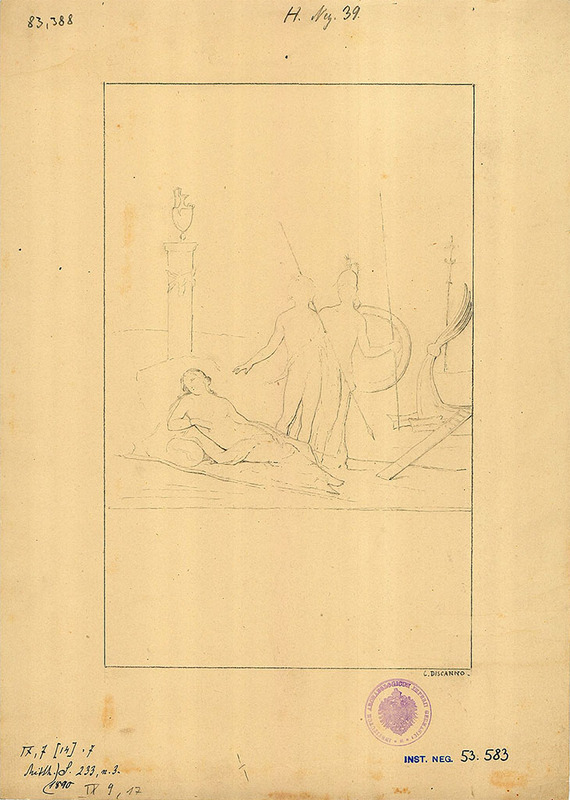 Sketch of painting of Perseus and Andromeda, found on the rear wall of the triclinium l.
See Mau, A., 1890. Mitteilungen des Kaiserlich Deutschen Archaeologischen Instituts, Roemische Abtheilung Volume V. (p. 233). Note: The insula is referred to as IX.7. IX.9.d Pompeii. March 2009. Room l, south wall of triclinium/oecus. IX.9.d, Pompeii. May 2005. Room l, south wall of triclinium/oecus. 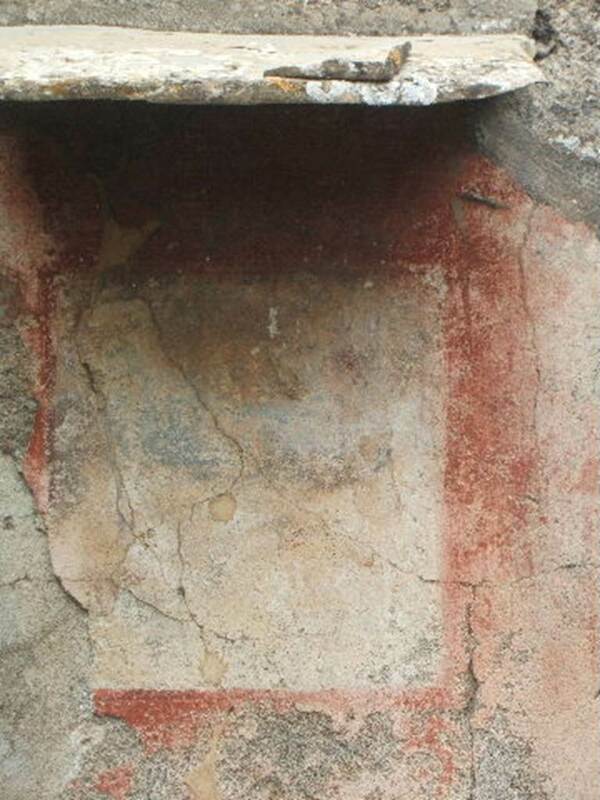 According to NdS, in the central panel on the south wall, a painting of Ariadne abandoned by Theseus was found. Like the other paintings found here, its colours had suffered greatly. Theseus holding a spear was going on board the ship, where on the right a companion could be seen with a helmet, heavy shield and a spear. On the right, above the ship was another figure, and on the left was the sleeping Ariadne. Average height of the figures was 0.45m. IX.9.d Pompeii. 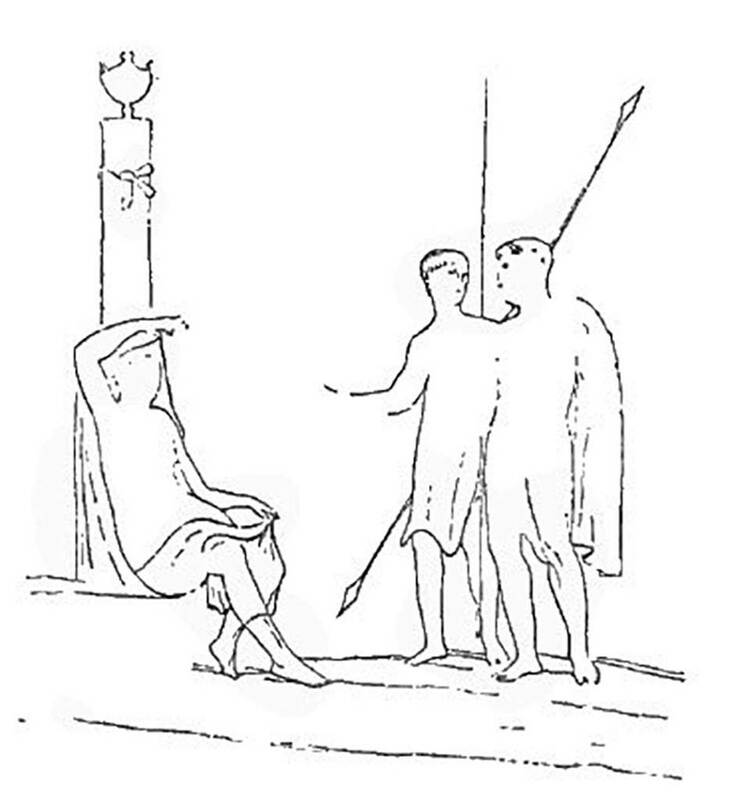 Sketch of painting of Theseus abandoning Ariadne, found on the left wall of the triclinium l.
See Mau, A., 1890. Mitteilungen des Kaiserlich Deutschen Archaeologischen Instituts, Roemische Abtheilung Volume V. (p. 233-4). Note: The insula is referred to as IX.7. IX.9.d Pompeii. March 2009. 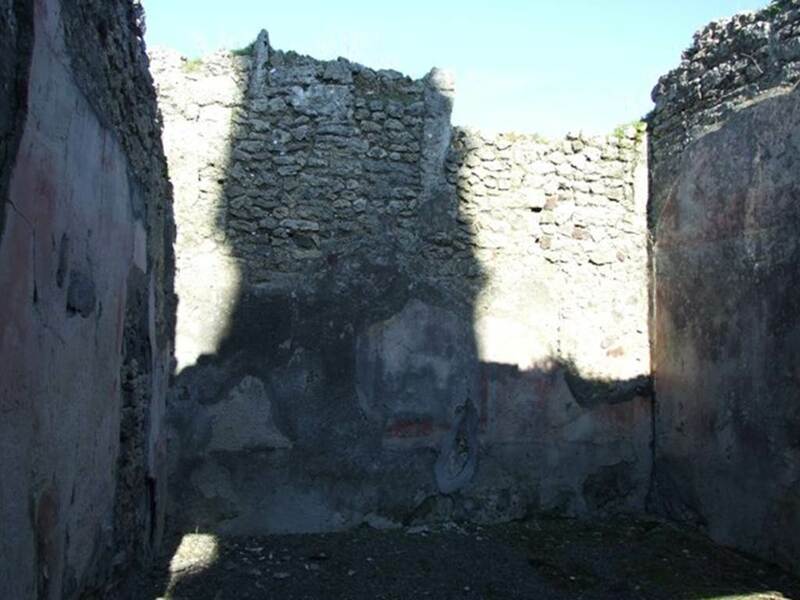 Room l, north wall of triclinium/oecus. According to NdS, in the central panel of the north wall was a painting of a woman sitting on a chair wearing a barbaric costume. In front of her were two young heroes. The average height of the figures was 0.46m. The poor conservation of the painting made it impossible to distinguish more, but the subject was thought to be similar to three others found at Pompeii. See Notizie degli Scavi di Antichità, 1889, p.131. IX.9.d Pompeii. Sketch of painting of unidentified subject, found on the left wall of the triclinium l.
See Mau, A., 1890. Mitteilungen des Kaiserlich Deutschen Archaeologischen Instituts, Roemische Abtheilung Volume V. (p. 232-3). IX.9.d Pompeii. March 2009. Room l, triclinium/oecus. 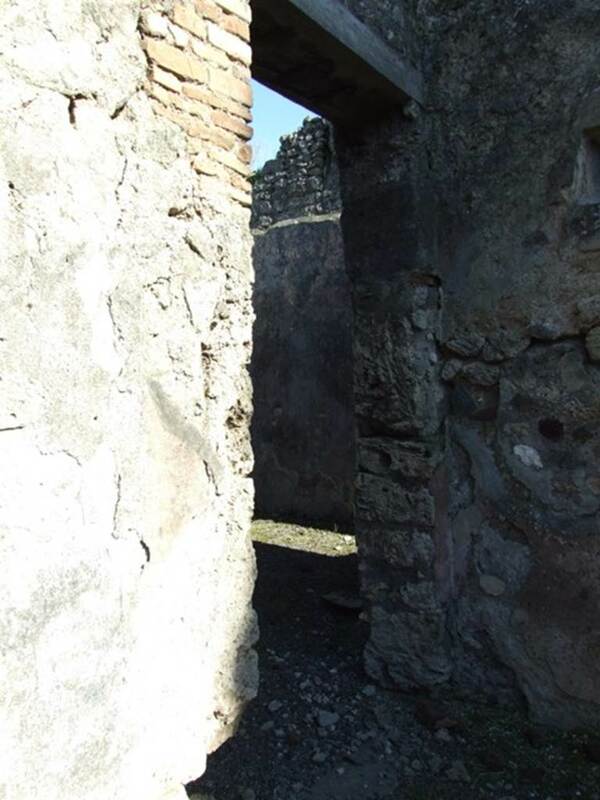 Looking towards a small doorway in west wall, leading to room m.
According to NdS, originally the oecus would have had a doorway linking to the adjacent cubiculum, then the doorway was reduced it seemed to a small window. In the centre of the west wall a painting of Io and Argo was recognised. Io was seen sitting on the left, turning her head to the right to look at Argo, who in this painting was armed with a spear. The figure of Argo was badly damaged, while that of Io was better preserved, wearing a necklace, yellow chiton without sleeves, a purple mantle wrapped around her legs. Average height of figures was 0.48m. See Notizie degli Scavi di Antichità, 1889, p.132. IX.9.d Pompeii. 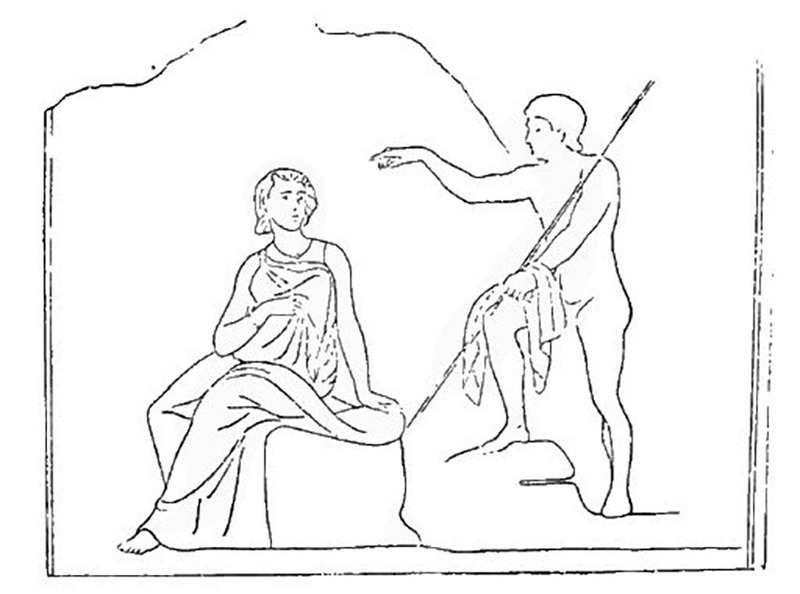 Sketch of painting of Io and Argo, found on the entrance wall in the triclinium l.
See Mau, A., 1890. Mitteilungen des Kaiserlich Deutschen Archaeologischen Instituts, Roemische Abtheilung Volume V. (p. 234). IX.9.d Pompeii. 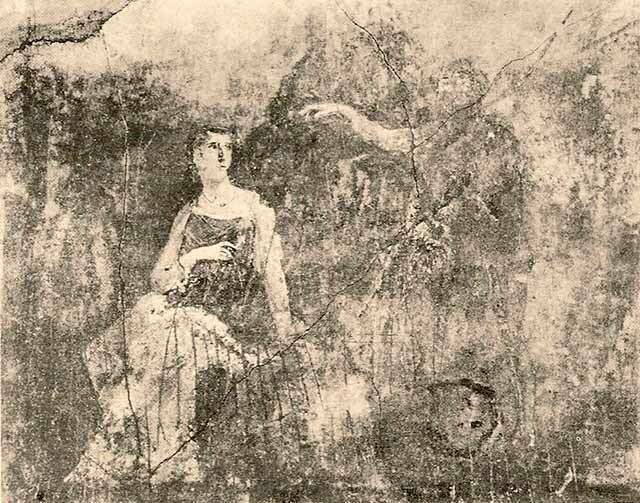 Early 1900s photo of painting of Io and Argo, found on the entrance wall in the triclinium l.
See Curtius, L., 1972. Die Wandmalerei Pompejis. New York: Hildesheim, p. 258-260, abb. 156. IX.9.d Pompeii. March 2009. 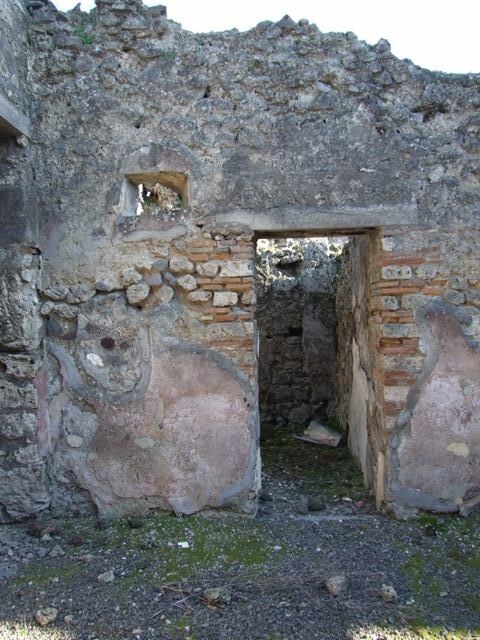 South-east corner of atrium b.
IX.9.d Pompeii. March 2009. 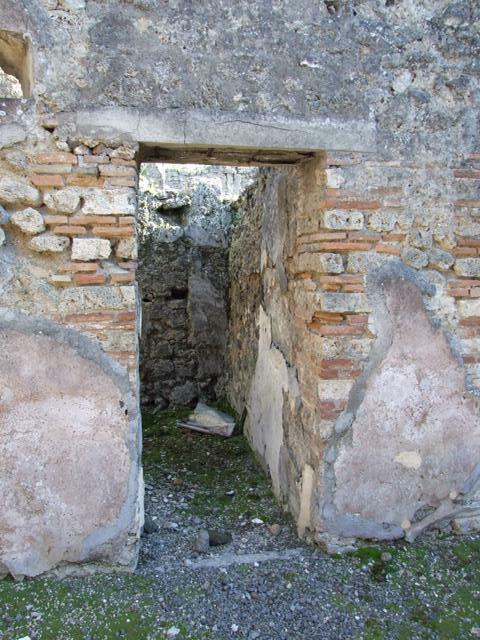 Doorway to room m, cubiculum. 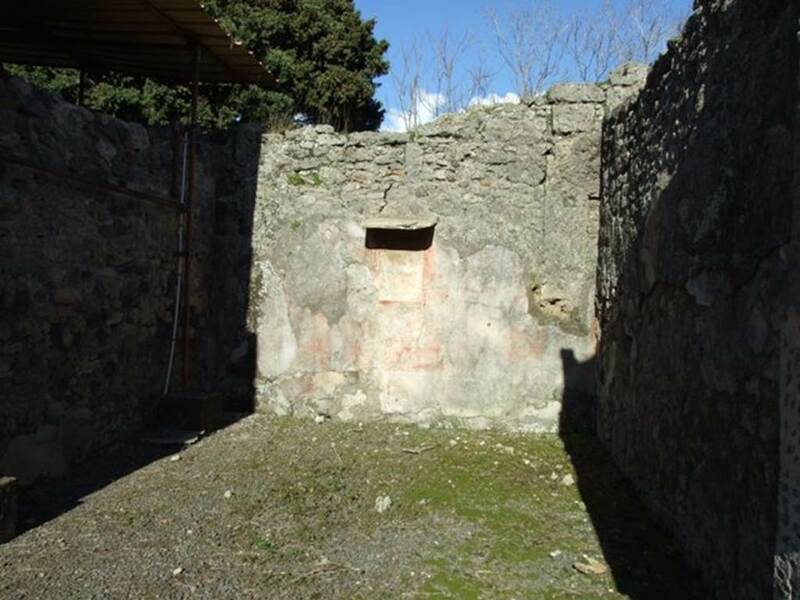 According to NdS, this cubiculum would have had Opus signinum flooring and walls with white background. IX.9.d Pompeii. March 2009. 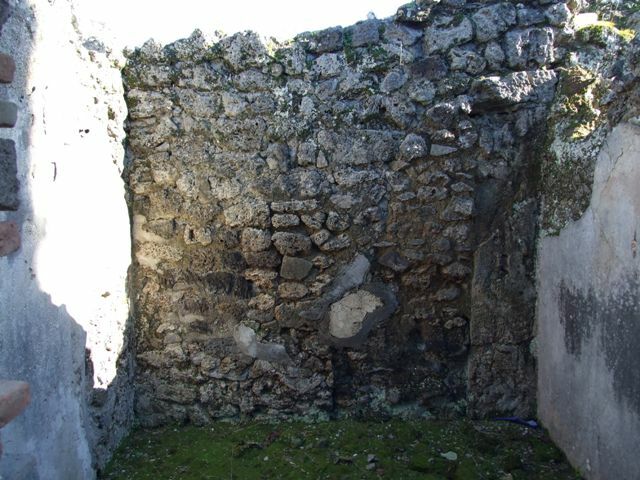 Room m, south wall of cubiculum. IX.9.d Pompeii. March 2009. Doorway to room g, cubiculum. IX.9.d Pompeii. March 2009. Room g, south wall of cubiculum. IX.9.d Pompeii. March 2009. Room g, terracotta down pipes in cubiculum.